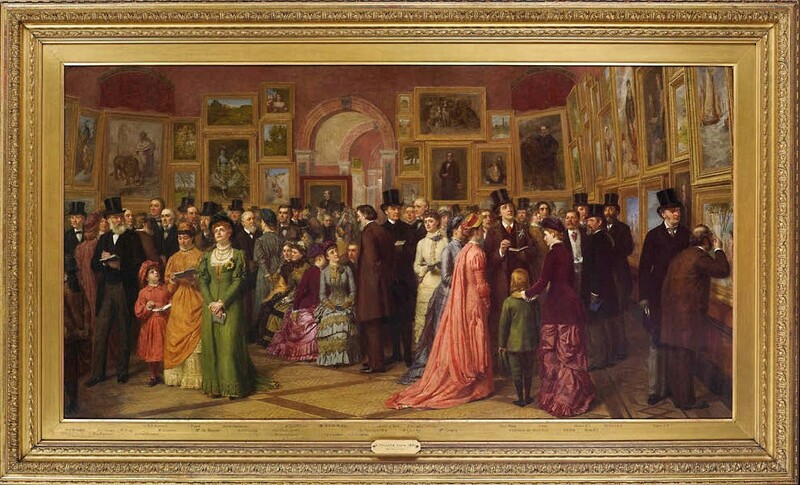 The painting Private View at the Royal Academy, 1881 had been offered for a price in the region of £10m through St James’s gallery Martin Beisly on behalf of the family of Alfred Pope, the original buyer. Featured in ATG No 2380, it was acquired by a UK collector who has agreed to lend the painting to a museum. The vast painting, depicting Victorian luminaries including William Gladstone, John Everett Millais, Ellen Terry and Oscar Wilde, will now go on show at the Mercer Museum in Harrogate for the bicentenary exhibition William Powell Frith: The People’s Painter from June 15-September 29. The show includes several of Frith’s great panoramas such as Life at the Seaside (on loan from the Royal Collection Trust), The Railway Station (from the Royal Holloway College, London) and Derby Day (from Tate Britain).